Understanding response to cancer immunotherapies involves examining the interaction between mechanisms of tumor escape, the tumor microenvironment, and neoantigens. Gaining these molecular insights often requires analyzing data sourced from multiple platforms and vendors. When samples are precious and limited, researchers need a way to simplify. That’s where Personalis can help. 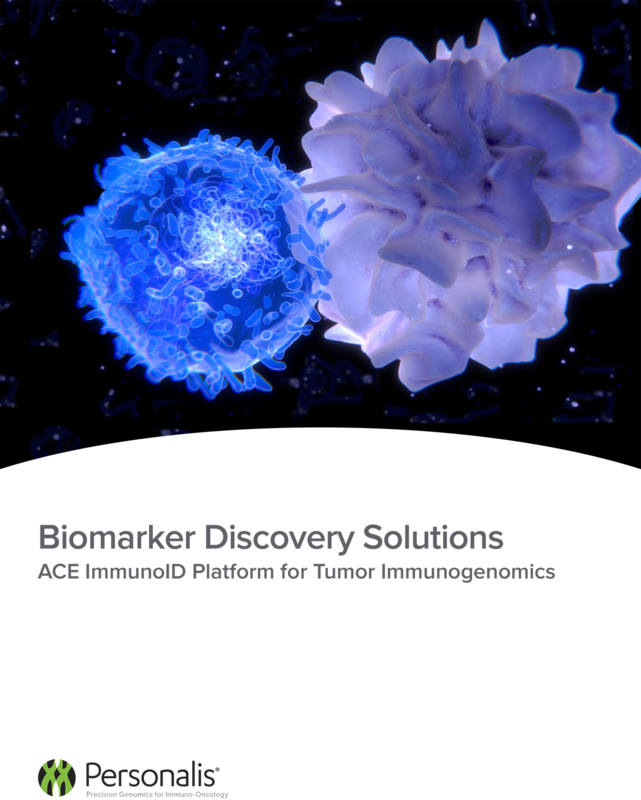 Our ACE ImmunoID Platform requires one paired tumor and normal sample, and combines whole exome and transcriptome sequencing with advanced analytics for comprehensive tumor immunogenomics that better informs your strategic decisions.